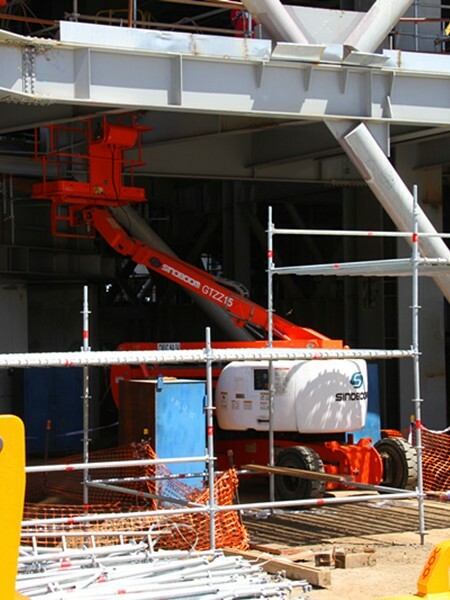 GTZZ15 Articulating Boom Lift is widely used for ship building and repairing, construction, civil engineering, electric power, communications, gardening, advertising, venues and stadiums, airport, harbor and various large factories and mines. It can meet the needs of different customers. The boom is multi-stage foldable design, flexible and convenient; a two or four-wheel driving mechanism is used; the self-adaption oscillating axle is available for option, thus providing excellent stability and offroad performance. 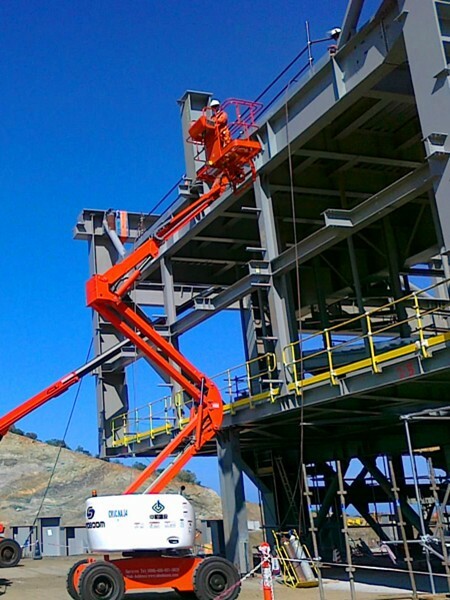 The platform can swing 160° horizontally, so that it is able to stride some barriers and work at several points without moving around all time. 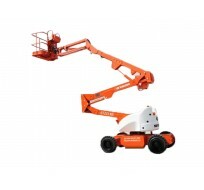 Furthermore, it can reach the point hard to access by traditional machine. 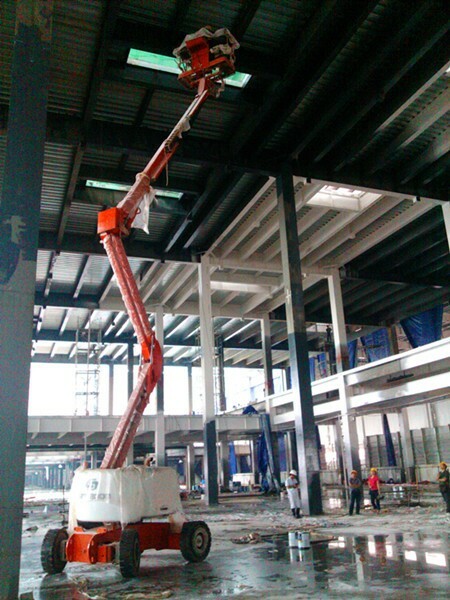 GTZZ15 Articulating Boom Lift characterizes in its wide range of operation and large load capacity as well as its strong power. Technical innovation designs boast a high-level safety, reliability and comfortableness. 1. 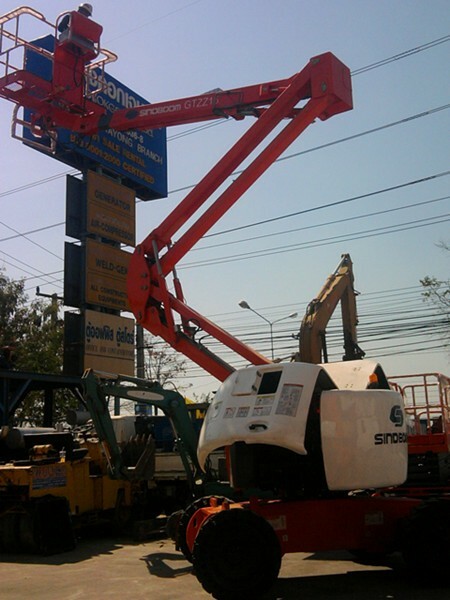 Wide operating range: 355°full direction operation at the height from 0~ 55 ft 1 in (16.8m), with a horizontal outreach by 25 ft (7.62m) and a crossing height of 24 ft 2 in (7.38 m). 2. 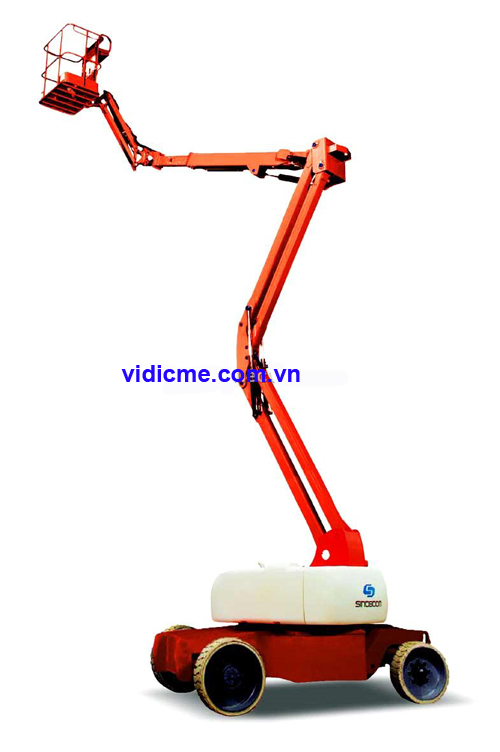 Large load capacity: The maximum load capacity is 551 lbs (250 kg); the platform can hold two operators and some auxiliary tools. 3. 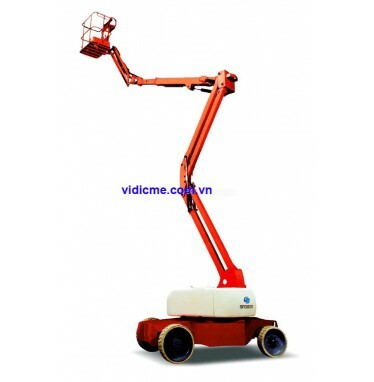 Powerful driving force: The engine is of famous international brand, large in power and excellent in gradeability. The maximal gradeability can be up to 40%.